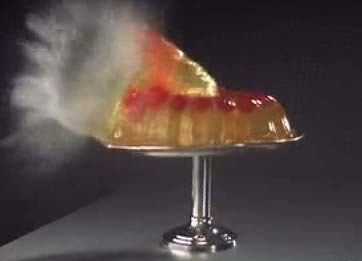 Slow motion (high speed) video is just so doggone amazing - revealing life's hidden mysteries. Take for example the lowly ladybug. For all of recorded history we simply marveled at the lovely black spots on her red shell, and watched her fly away (because her house was on fire.) Little did we realize that behind the beauty there were complex mechanisms at work - allowing the wings to be hidden but elegantly released when required. Wohba!